Sometimes we find our selves in the position of needing to re-home our pet. It is a sad task, but it might be the best thing for your pet if you no longer have the time or place to care for him or her. Try contacting us to see if we can help! If we are unable to, you can also try to rehome your pet yourself through Adopt-a-Pet.com. Here is the link to this free service! 1. Charging a fee for adoption. The "bad guys" want free pets. They don't want to put up any money, and they will tell you all kinds of tales about how nicely they are going to treat your pet and what a great life it will have. Don't believe them! People value what they pay for! Don't want to feel like you are selling your pet? No problem! Donate the money to a local rescue (like the High Plateau Humane Society!! :) That way, the money goes to a good cause and your pet goes to a good home! Let the adopter know you will do that, and they will feel better about paying the adoption fee as well. I recommend you have the adopter pay at least $60. If they can't afford that, they can't afford to take care of your pet! 2. Meeting the adopters. Have adopters come to your house to see your pet, or, better yet, take the pet to them. Make sure they will let your dog or cat in the house to be part of the family and ask them about their experience with your type of pet. Meet the whole family if you can! Make sure your pet will have a loving home, and it will make your parting easier. If you get a bad feeling about the potential adopter, TRUST THAT! Don't leave your pet with someone you don't like. 3. Visiting the adopter's home. You would be surprised how many people lie about their home situation. Their idea of a "fenced yard" can be your idea of a chicken coop. Be sure. Take your pet to its new home yourself, and be prepared to give them back the adoption fee and take your pet home. People that know you are going to want to drop the pet off to them will be more likely to tell you the truth to begin with. Rather than give your dog to just anyone, s/he would be better off being surrendered to a shelter. 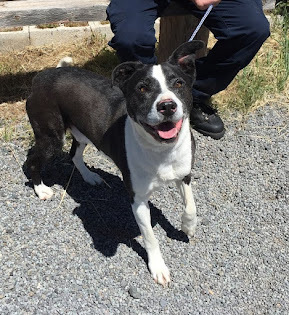 If your pet is a friendly adoptable dog that has not bitten anyone or killed other pets or livestock, or if they are a friendly adoptable cat, I recommend you surrender him or her to the Klamath Animal Shelter at 4240 Washburn Way in Klamath Falls. Their phone number is 541-884-7387. You should call them first to be sure they have room. You do not have to pay a fee to surrender them if you can't afford to, but I am sure they would appreciate a donation when you take them there. 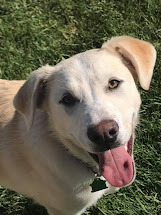 The Klamath Falls Animal Shelter will give your pet the shots they need (be sure to take their medical record with them so they don't get vaccinated unnecessarily), neuter or spay them, and find them homes.